This week Microsoft made the eagerly awaiting Windows Vista Service Pack 1 available for general download.Service Packs are important milestones in the development of an Operating System as they bring together a collection of bug fixes, performance improvements, security updates and new product features.For many the release of the first service pack is the only time they will consider updating their Operating System, the idea being that all the potential teething problems are now ironed out. At present the only way for existing Vista users to get the service pack is by downloading the 450mb file from the Microsoft website (www.microsoft.com) however it will be pushed on to users via the Windows Update utility sometime next month.New PC’s shipped with Vista should now come with the Service Pack already installed. Compatibility issues – Service Pack 1 includes support out of the box for up and coming technologies such as the new wireless standard 802.11n , Direct 3D 10.1 and the exFAT file system for flash devices.As one would expect, it doesn’t contain updates for compatibility issues with any existing hardware or software as these are delivered regularly through Windows Update. Reliability Improvements – By using customer data voluntarily given by users through the CEIP (Customer Experience Improvement Program), Vista includes a number of reliability updates, some of which were previously available through Windows Update and some which were not. Performance Improvements – One thing that was noticeably slow in Windows Vista was file handling – whether you were copying from drive to drive or across a network the time it took did seem unnecessarily slow but thankfully this has now been dramatically improved.There are also improvements to the speed of Windows ReadyBoost (a feature in Vista that allows you to use a flash drive instead of your hard disk for virtual memory) and not to mention the way Windows handles compressed folders.As a rule of thumb, Vista SP1 should now outperform a base Vista installation. 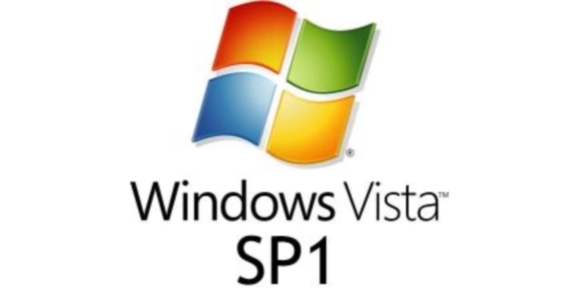 Security updates – Unlike Windows XP Service Packs, Vista SP1 doesn’t include any major security improvements for the simple reason that at present Vista hasn’t encountered any major security issues.The original version of Windows XP was so riddled with security vulnerabilities that the second service pack contained major architectural changes to the Operating System in an attempt to fix it.There have been some minor improvements and increased support for encrypting drives and devices but nothing major. Somewhat surprisingly Microsoft have chosen to hide the Instant Search tool from the Start Menu in Service Pack 1, after a complaint from Google that having it so deeply integrated was anti-competitive.I usually expect Microsoft to fight such claims however they have been clobbered quite considerably of late in various anti-trust suits; as such they have chosen to tuck the Instant Search tool away to make it slightly less accessible.The Instant Search tool is a fantastic feature of Vista which allows you to easily search within files, documents and e-mails for the information you’re looking for so I urge you to rediscover it after installation – simply pressing the Windows Key and ‘F’ together should do the trick. Bottom line is that although there isn’t anything particularly new or exciting in this Service Pack, the general improvements made to the Operating System certainly make it a worthwhile download.Those that have been waiting for a Vista Service Pack release before making the switch need wait no longer.